The joy of buying a new Kia doesn’t have to end as soon as you enter the finance department. In fact, we’ll make it as easy as possilble for you to obtain a Kia loan or lease. We’ll work with a variety of local and national lenders and explain all the important terms. Less confusion equals less stress equals a more enjoyable experience. If you’re ready to apply for Kia financing today, please submit the form to your left. 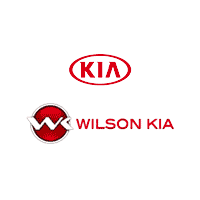 If you’re still not certain which new Kia (i.e., Sorento, Forte, Soul, Sportage and Sedona) you want to buy, visit our showroom at 4204 Lakeland Drive in Flowood, MS. And remember, if you have any questions along the way, you can always get your answer by contacting Wilson Kia here.